Hotel Deal: The Four Seasons! It's Friday, so why not let loose a little? Sure, the Four Seasons hotel might not be the cheapest hotel around – you could do three nights in a hostel for the price of one night here – but a slack in demand has made rooms cheaper even at one of the fanciest spots in Tokyo. The asking price for a twin is 18,480 yen. Split that with a friend or loved one and you're talking $92 a night in a rare luxury hotel with a decidedly European theme. If I have cash left over, I like to splurge on my last night's hotel as a way of getting some rest after the exhaustion of a long vacation. Thankfully, prices are falling on luxury hotels quicker than the cheap spots, even in Tokyo. Check out the Four Seasons Tokyo website, and if you decide to bite, make your reservation online at Japanican. Shibuya's the place that most quickly comes to mind when people think of Tokyo. Shibuya Crossing is often considered Tokyo's Times Square, with its throngs of pedestrians and stacks of large advertisement screens. It's also home to a lot of Tokyo's youth culture, with tons of entertainment and fashion crammed into a pretty small space. When you arrive at Shibuya Station, make sure you take the Hachiko exit. This will put you in the famous spot pictured here. The Hachiko area is a popular meeting spot, so you'll see lots of people standing around waiting. By the way, Hachiko's a dog with a fantastic story – make sure you find his statue! Don't be mistaken by the name Ginza Capital Hotel – it's a bit away from the haute couture shops of the Ginza district. It's actually in Tsukiji, home of the famous fish market. Which makes it all the cooler that solo travelers can stay in such a great location for just $63 a night. That's a steal in central Tokyo for a full-service hotel. There's one downside – no in-room Internet access – but that's all the more reason why you should spend your time out exploring Tokyo and just hitting up an Internet cafe when you need to unwind. The hotel has an English website with info, but for the cheap price you'll want to make your reservation on Japanican. If you're a Konnichiwhoa reader and you're from Atlanta, I haven't had you covered very well – until now. How about a cheap flight to Tokyo this summer for a mere $704 (probably just under 800 after tax)? Like yesterday's flight deal, if you're able to book your ticket this week, you can take advantage of that price all the way through the end of August, letting you take advantage of a cheap summer vacation overseas. The deal comes from travel agency Sankei, and their website is all in Japanese. But if you email or call them, they'll answer you in English. The email address is on the website, and their phone number is 1-800-225-7479. Here's a good one: a nonstop flight to Tokyo on United from Washington, D.C. for $872 after taxes and fees. It's advertised as a fare of $714, but they estimate another $158 in taxes, fees and the fuel surcharge. That price is good for flights all summer long, and after August 31 prices go up higher. then on again. Plus, it's a shorter trip, and who doesn't love that? 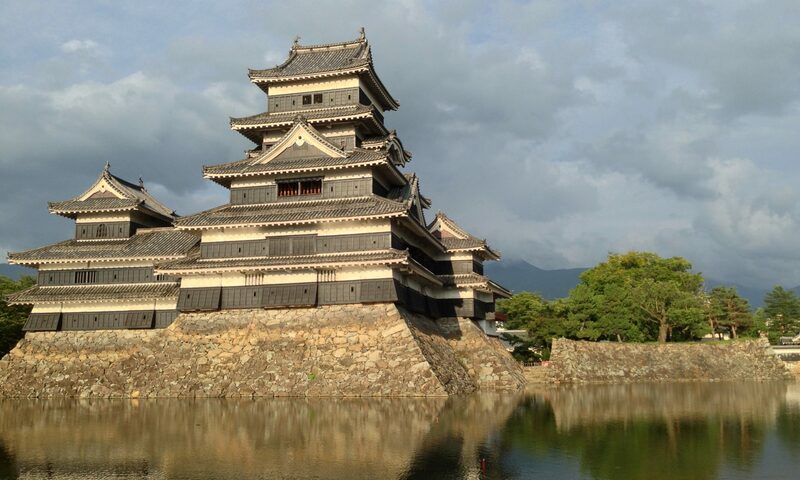 If you're a more experienced traveler, there are also deals for flights to Osaka and Nagoya, too. But be quick – the deal expires this Friday, May 15. Get the details and make reservations at H.I.S. Travel. This week is Golden Week, a string of national holidays in Japan. It began this last weekend and continues through Wednesday. Many Japanese get to take additional days off around Golden Week, so some people may not go in to work at all this week. Major tourist spots are full of native Japanese visitors, which makes it fun to check out big landmarks like Senso-ji Temple or the Mori Tower. And it's crowded! When a metropolis of 35 million people goes on vacation, things get a little crazy. Lots of people take their big vacations now, like to the beaches of Okinawa (pictured) or to Korea, Taiwan or Hong Kong. Still, there are plenty of people left in the city, and thankfully there are tons of local festivals and events to accomodate fun-seekers in every neighborhood. I, for one, found a deal on an airline flight I couldn't refuse. So, hello from Tokyo! The weather's beautiful and the food is delicious. The Times' travel guides usually have pretty expensive tastes, but the paper's look at Naka-meguro highlights some pretty affordable restaurants and shops. And it also conveys the neighborhood's unique take on everything, like a coffee shop that turned the back half of an old Citroen into a cafe counter. “It’s gotten so that the locals don’t even leave anymore,” said Hideaki Ishii, who runs a clothing shop in the area. Ishii's quote may be the best sign of all that Naka-meguro is worth the visit, even more than the countless celebs who mention the place when asked where they like to hang out. The best travel is about integrating with local people instead of going point-to-point, taking pictures of famous places and seeing nothing else. Japan offers a really unique opportunity to be amongst the locals – so when in Tokyo, do as the Tokyoites do. Read Still Hip After the Blossoms Fade in Tokyo at The New York Times.